The timeless cities of the Mediterranean, the splendor of Scandinavia and Russia plus the intriguing ports of the British Isles and the continent’s northern reaches, will take center stage during Princess Cruises’ 2015 Europe season. Highlights of the just-announced season include growth in Northern Europe with the line’s newest sister ships, Regal Princess and Royal Princess, both deployed in the region for cruises to Scandinavia & Russia and the British Isles. Island Princess sails in Europe for the first time on the line’s Grand Mediterranean itinerary. Emerald Princess offers a fresh series of Mediterranean, Aegean and Black Sea voyages that can be combined, so passengers can customize their own 7-, 14-, 21-day or longer voyage. - Regal Princess will take over the line’s popular 11-day Scandinavia & Russia cruises departing from Copenhagen, featuring two days in St. Petersburg, Russia.? - Royal Princess returns to the place of her dramatic christening for a series of 12-day British Isles cruises from London (Southampton) and one departure to the Baltic Sea.? - Island Princess will sail in Europe for the first time on the line’s hallmark 12-day Grand Mediterranean itinerary between Venice and Barcelona.? - Emerald Princess will also sail throughout the Mediterranean on a series of unique voyages from Barcelona, Rome, Athens and Istanbul.? - Caribbean Princess will be based from Southampton offering cruises to the Mediterranean, Norway and the Baltic.? - Small ship Ocean Princess will sail on unique voyages in Northern Europe to a variety of off-the-beaten-path destinations. ?For the first time, Island Princess will sail in Europe, offering cruises on Princess’ popular 12-day Grand Mediterranean itinerary featuring an overnight call in Venice plus visits to Barcelona, Rome, Florence/Pisa, Provence, Naples (for Capri & Pompeii), Athens, Mykonos and Istanbul. Two departures in the fall will sail between Venice and Rome (Civatavecchia). For passengers sailing from Britain, Caribbean Princess will be based in Southampton to offer two-week Mediterranean Adventurer sailings featuring the best of the Western Mediterranean. ?? ?Regal Princess will sail her first season in Northern Europe, replacing Royal Princess, on Princess’ popular 11-day Scandinavia & Russia itinerary featuring two full days in St. Petersburg, Russia. In addition, three unique itineraries, ranging from 11 to 14 days, on Royal Princess, Regal Princess, Caribbean Princess, and Ocean Princess will cruise to the Baltic Sea, all of which include the 2-Day Experience in St. Petersburg, Russia.?? Princess will offer more British Isles capacity in 2015, with Royal Princess returning to Southampton to sail on 12-day British Isles itineraries. Ocean Princess sails from Dover on three unique eight-day departures. Four of Princess’ British Isles cruises will include the unique opportunity to see Scotland’s famed Edinburgh Military Tattoo.?? 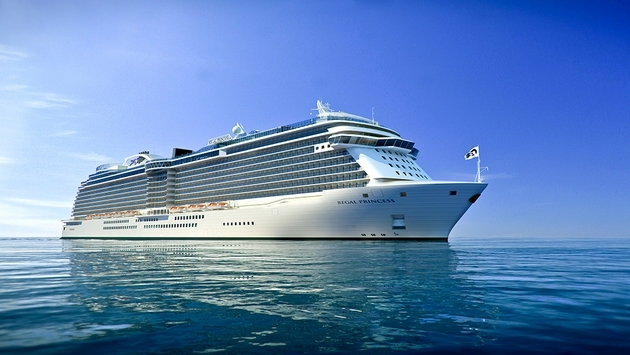 Caribbean Princess offers one North Cape & Summer Solstice departure in June which sails north to the Arctic Circle during the peak midnight sun period around the summer solstice. Caribbean Princess will also cross to the land of fire and ice on a Transatlantic crossing featuring Iceland. Ocean Princess explores the northern waters on a 16-day Land of the Midnight Sun departure featuring the remote island of Spitsbergen, Norway. The ship will also sail on a 14-day Iceland & Norway itinerary that visits off-the-beaten-path ports in Iceland and the Faroe Islands.?? Passengers can enhance their European travel with four land and sea vacation options, which combine certain sailings with a fully-escorted land tour. Choices include Paris and the French Countryside; Ireland’s Ring of Kerry; Swiss Splendors and Lake Como; and the Imperial Treasures of Budapest, Vienna, Prague and Berlin. 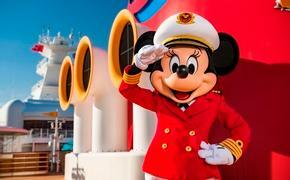 More information about Princess’ 2015 Europe cruise program can be found here.